Early man at Gesher Benot Yaakov ate elephant, deer and gerbils, augmented with sides of nuts, fruit and plants, preserved almost a million years by water. Prehistoric man ate more than elephants, hippos, rats and anything that didn’t eat him first 780,000 years ago. He also subsisted on a rich plant diet, archaeologists have discovered, following analysis of nuts, seeds and other floral remains found from that time in waterlogged ground by Lake Hula in northern Israel. We know what primitive man ate based on fossil bone finds. Plants are a whole other story. 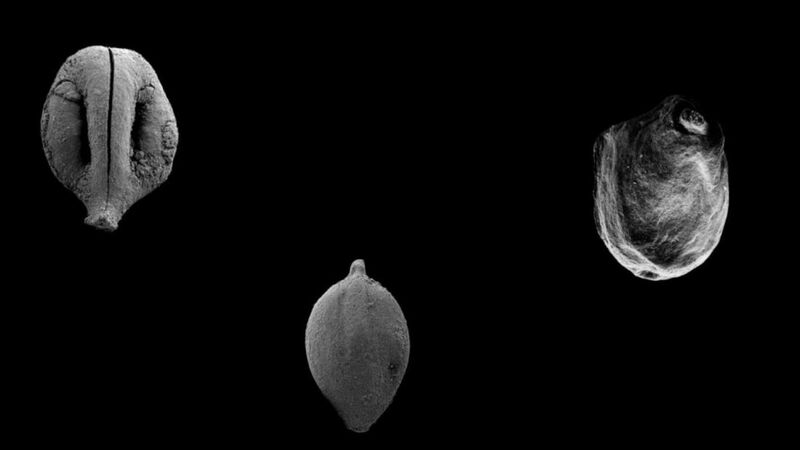 How exactly were a grape seed around a millimeter in size, and matter from 55 species of edible plants, preserved for 780,000 years in Gesher Benot Yaakov, by the shore of Hula Lake? The answer has to do with water. The site had been submerged under the Jordan River and the Hula Lake, creating anoxic, waterlogged conditions, explain the scientists. Then the bits were quickly covered with sediment – a layer in which the archaeologists also found stone tools and animal fossils. The result is rather like beautifully preserved findings in bogs: They get protected by the humid conditions and absence of the oxygen that bacteria need to eat organic remains. Determining the age of the remains was facilitated by isotope dating of basalt rock under and in the site, and paleomagnetic analyses. Previous excavations concluded that the hominins living in the region also knew not only how to use fire, but how to control it and cook with it, adds lead author Prof. Naama Goren-Inbar of the Hebrew University of Jerusalem. Acheulian sites date from 1.75 to a quarter of million years ago. Modern man would evolve and leave Africa through the Levant only hundreds of thousands of years later. The style of their artifacts – stone tools – shows that the Gesher hominins originated in Africa, Goren-Inbar says. “People who came from Africa through the Levantine corridor had to transform their diet to the local vegetation. That is a big deal, not a change made in a day,” she observes. In their paper published in the Proceedings of the National Academy of Sciences, Goren-Inbar and the team, with Dr. Yoel Melamed of Life Sciences at Bar Ilan University, list the species of plants they found. She points out that while there’s no proof they were eaten, and the presence of remains foraged from plants that don’t grow around the site is a give-away. Proving what they ate beyond doubt would requiring finding a skull with a grain of something caught in the teeth, Goren-Inbar laughs. But the inference that these plant and animal remains were found at the site is a reasonable one, especially since the plant remains came from nutritious shrubs, she says. This is the first time science has demonstrated the rich variety of plants and the subsistence opportunities available to early humans as they moved out of Africa and had to adapt to a Eurasian diet, say the scientists. In keeping with their popular image as savage brutes, the primitive humans adored meat. “There were lots of meat remains, and fish as well,” Goren-Inbar told Haaretz. Nor did the ancients cavil at munching on micromammals: Shrews, mice and rats would have been welcome snacks. But their main love was megafauna and fallow deer. Goren-Inbar specializes in hominid occupations in the Levantine Corridor, through which several hominin waves dispersed out of Africa, not just the last one, from which all non-African men apparently arose. “In recent years we were met with a golden opportunity to reveal numerous remains of fruits, nuts and seeds from trees, shrubs and the lake, alongside the remains of animals and man-made stone tools in one locality,” she said. The team also discovered that the prehistoric men were eating plants that have since disappeared. 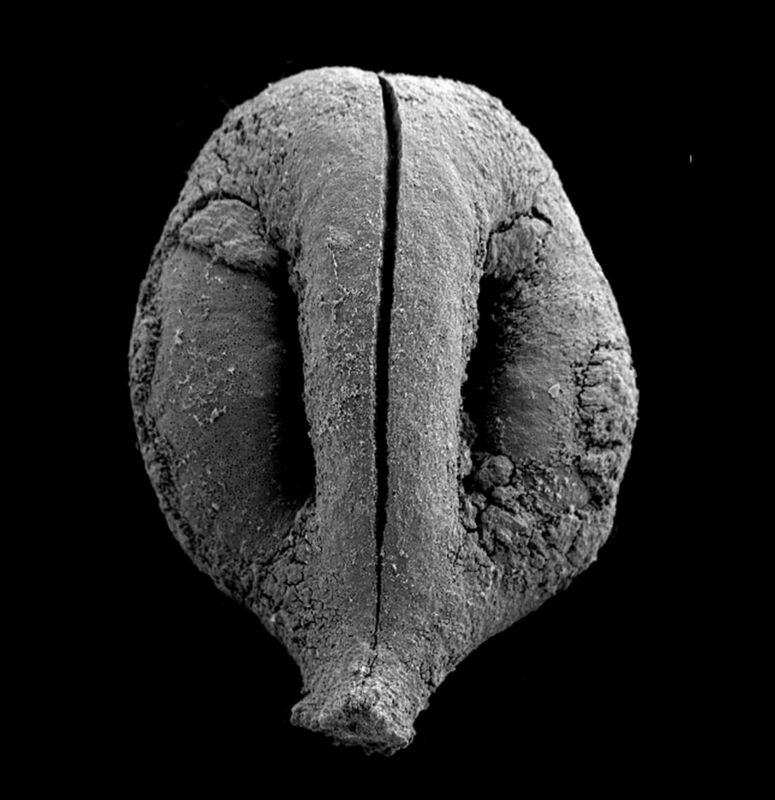 “We found more than 10 species that existed here in prehistoric times but no longer today, such as two types of water nuts,” Melamed says. 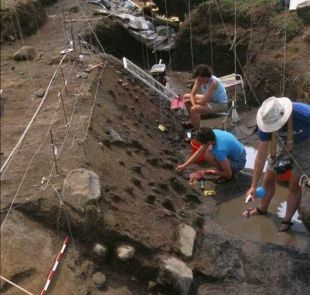 Earlier, Goren-Inbar had found what she calls the earliest evidence of the use of fire in Eurasia at Gesher Benot Ya’akov – a crucial issue because not a few plants, including tubers, are deadly if not cooked properly. “Using fire, roasting nuts and roots for example, allows use of various parts of the plant and increases the diversity of the plant component of the Acheulian diet, alongside aquatic and terrestrial fauna,” she says. No, these were not the people from which we arose. But the scientists conclude that the results shed light on hominid ability to adjust to new environments, facilitating the eventual diffusion of humanity beyond Africa.